This inaugural book project have special significant to Sunway Le Cordon Bleu which not only celebrates the more than 120 years legacy of the founding school in Paris but also the Institute here in Malaysia which bags 2 awards this year. Forward by the President and CEO Mr Andre Cointreau “ Today, Le Cordon Bleu is present in some 28 countries with more than 57 international schools attended by 22,000 students annually, making Le Cordon Bleu the only truly global educator in the culinary arts, hospitality and tourism management. Our partner, Sunway, wanted the school in Malaysia to create something special in conjunction with the 120th anniversary of Le Cordon Bleu. 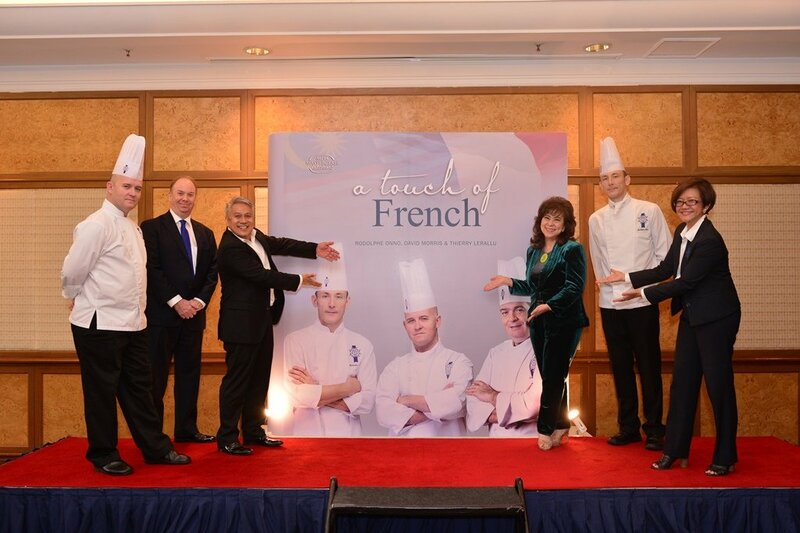 They had mooted the idea of a book project featuring recipes with a French touch by chefs of Le Cordon Bleu Malaysia, using local ingredients and presenting local flavours. We hope you will enjoy the event and please take home a copy of the book and have our chefs to autograph it before you leave.